Click ‘Get It’ and select Men’s Haircare option or Women’s Haircare option. Limit 1 per person. Women’s option includes either curling iron or flat iron styling. Longer hair will incur an additional fee. By appointment only. Promotional value expires 30 days after purchase. $7 for a men’s shampoo, haircut, blowdry and style ($15 value). $15 for a women’s shampoo, haircut, blowdry and style ($30 value). 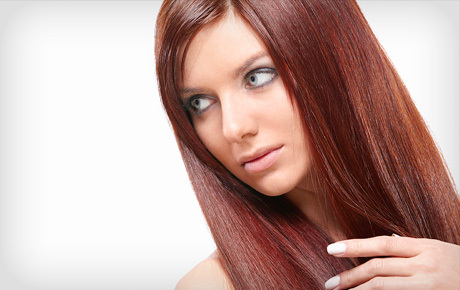 The talented stylists at Emmar are committed to providing superior services with a focus on your hair’s health. They use only the highest-quality products and ensure that each client has a unique and rewarding salon experience. They interpret the latest trends in beauty and fashion to develop styles that are as unique as you are. This chic, comfortable salon is the perfect place to renew your look for fall.